As any sports bettor will know, when you walk into a land based betting venue such as a sports book, when it comes to placing your wagers, you simply need to hand over cash to the teller and your bets will then be accepted and placed instantly for you there and then. However when you are betting online, then you are going to have to find an alternative method for paying for all of your bets and wagers, whilst at the same time having a banking option at your disposal that will allow you to cash out any winnings you have accumulated betting online. In this part of the Betting.ca website we will be taking a look at the many currently available betting deposit options and letting you know the advantages of using any one particular method over another, and we will also let you know just which options are available for you to make a hassle free withdrawal of your winnings. Below you will find some of the most commonly used deposit options available to anyone wishing to use an online betting site at which to place their wagers at, be aware that throughout our website we have some more in-depth banking options guides so do have a look around for you will also find a range of special bonuses and free bets if you opt to use some of the banking options listed below at our featured and top rated online betting sites! Paypal: Many people who buy or sell things online will have a PayPal account, this allows everyone who has a PayPal web wallet account to move their money around the web instantly and pay or receive payments for anything they have bought or sold online.There are now a growing number of online betting sites who will let you use your PayPal account to send your deposits into your betting accounts, however there are a number of countries where you are not permitted to use your PayPal account for any form of betting or gambling purposes. So if you do own a PayPal account and you fancy using it as a way of funding a betting account online or receiving winnings from a betting site, then do checkout both the PayPal terms and conditions as well as those found on the betting site you are thinking of placing your wagers at, as that is where you will find out whether you are permitted to use your PayPal account in such a way, and if you are then feel free to use it to fund your betting accounts online! Credit Card: You will find many, if not all online betting sites will let you fund your betting account using a credit card, and whilst this will allow you to instantly top up your betting account instantly and without any fuss, we should point out that this can often be quite an expensive way of doing that.Most credit card firms will not tag onto your deposits into a betting site and additional fee, this will be a cash advance fee, as they look upon betting site account deposits as a cash advance and not a usual type of purchase, so keep this fee in mind and factor it into your betting budget if you do opt to use a credit card to fund your betting accounts online! Neteller: The Neteller website will allow you to sign up to use their web wallet type service, this is an online account that you can use solely for all of your online betting funds, you can send money to any online betting sites and also have your winnings sent back to your Neteller account. You can then access your funds via a pre paid debit card Neteller supply or you can have your account balance sent to you as a check or directly into the bank account you linked to your Neteller account. Bitcoin Deposits There is a brand new way of funding an online betting account, and this is using Bitcoins, now you may never have heard of Bitcoins before, they are a brand new digital type of currency that has not been linked to any country or precious metal such as Gold or Silver. Bitcoins are dispersed via a Bitcoin wallet type account and you can trade your Bitcoins via one of many exchange sites, it may take you a whilst to get your head fully around how Bitcoins work and operate, but if you want to keep your online betting completely anonymously without having money hanging around in bank accounts then it may be worth your investing Bitcoins more, for this new virtual digital currency is proving to be very popular with people who no longer trust the banks! 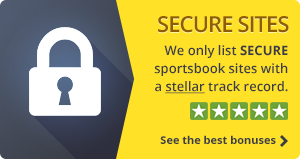 Skrill: The Skill service is simply another online web wallet facility, this is almost identical to the one offered by Neteller above, and as such you keep your online betting bankroll in your Skrill account and can then send funds instantly to any online betting site account you have, winnings can then be processed quickly and be sent back to your Skrill account. 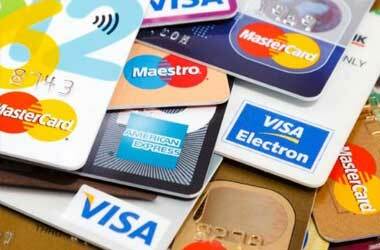 Pre-Paid Cards and Voucher Deposits: If you do not have a bank account or any form of credit or debit card then you will still be able to fund your online betting account, for you can utilize pre paid debit cards and pre paid vouchers, these can be bought at local retail outlets and you simply load up the cards or buy the vouchers in cash, over the counter and then can use them in the banking interfaces of any online betting site that accepts them.